So, next week will be my final week with the mustard-packaging factoryjob! And I'll acquire some much needed extra-money. The idea is to buy a Cintiq (for those who don't know, it's one of those tablets with an in-built monitor) with that extra and pray that I'll have enough to live with. I'm seriously starting to get fed up with this one page per week updating schedule. 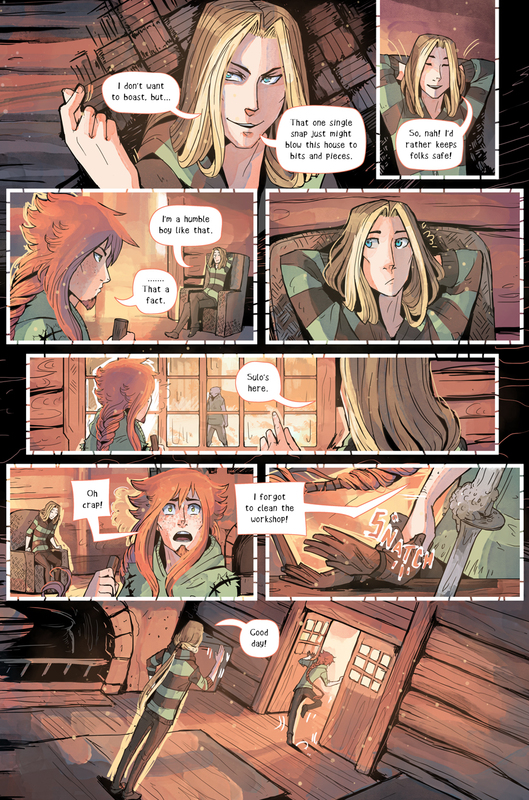 I want to bring in more pages weekly again and soon, and hopefully Cintiq will help me work up my buffer! Of course with Small Trolls on the side, I will have a lot of work to do. :3 But, yes, freedom waits me after this week and I'll be really glad to make my next update. I'll even go and say it: Haven't felt this motivated in months!